You’ve probably heard of Dr. Sagie’s Bedwetting Clinics. Now, you don’t have to go to these clinics to address your child’s nocturnal enuresis problems. 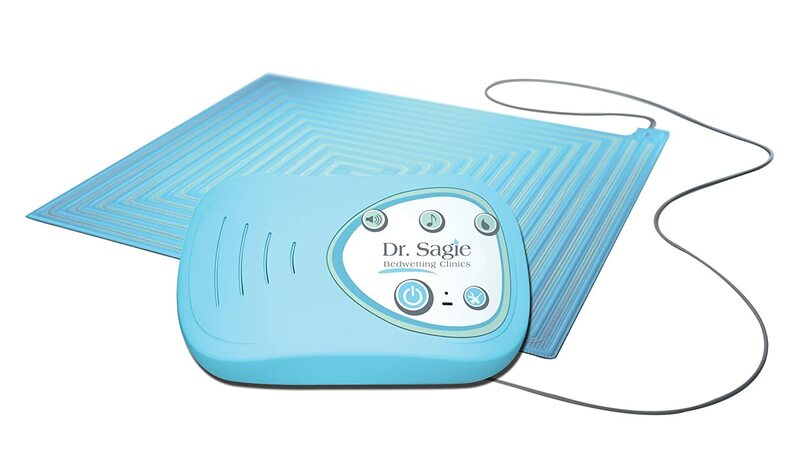 Dr. Sagie’s TheraPee Bedwetting Solution can now be bought for home use. As advertised in TheraPee’s promotional video, Dr. Sagie has treated “tens of thousands of bedwetting cases since 1984.” According to the video, Dr. Sagie found that bedwetting is not a medical or psychological problem. Instead, it “stems from deep sleep.” In Dr. Sagie’s Bedwetting Clinics, patients are treated through a combination of cognitive behavioral therapy, exercises, feedback, and other techniques. Should you get one of Dr. Sagie’s TheraPee Bedwetting Solution? Here, we’ll help you answer this question by giving you a summarized report of how this alarm fared among previous buyers. When you unbox your Therapee kit, you should get the following. First, you’ll get an interactive and personalized software. It also comes with a user-friendly device similar to what you see in Dr. Sagie’s bedwetting clinics. Unlike other brands of bedwetting alarms such as Malem and Chummie, Therapee’s device is NOT attached to the child’s body. It doesn’t have a transmitter, so there’s no radiation involved. The software is interactive. Your child receives various learning techniques for the prevention of bedwetting. Aside from that, your child receives personal treatment according to his needs. As if that’s not enough, treatment meetings are led by a professional therapist that gives full support until your child outgrows bedwetting completely. Aside from the software, the kit also comes with a bed-pad, which according to a user is 24″ x 20″ in product dimensions. As advertised, Therapee is made in Israel. Here’s what the promo video tells us about Dr. Sadie’s TheraPee Bedwetting Solution kit. – The treatment is suitable for children over the age of 4. – Treatment takes 3 to 5 months. – The treatment’s success rates are over 90%. See more of Dr. Sadie’s Therapee kit in the video below. We’ve gone through a popular online retailer’s consumer feedback section. Here’s a summary of what we found about Dr. Sagie’s TheraPee Bedwetting Solution. Easy to set up and use. Most customers did not find the set up process a struggle. However for those who did, they agree that customer support was more than willing to help them resolve any issues they were experiencing and they did so promptly. The program can be tailored to suit any age. Many Therapee customers appreciated how the program can be tailored to suit the patient. The therapist considers the age, gender and bed wetting frequency in order to come up with the most ideal treatment plan. There have been success stories from children and young adults of different ages. This substantiates Therapee’s claim that it can be used on persons of age 4 through to 18 ,with significant results. It works quickly. Customers agree that you can expect results after 4 to 6 months. Some have even noticed results as early as 1 month. Interactive. The interactive nature of Therapee is appreciated across the board. Children enjoy and are motivated by the star chart system that involves them logging in their wet and dry days and the graduations that follow. The exercises involved are also found to be of great help. The online portion is rightfully dubbed ‘very exciting and engaging’. Even though they are pre-recorded, many parents have said that their children feel as though Dr.Sagie is speaking directly to them,coaching them through the process. The feedback sessions are an amazing reinforcement method. Great online support. Many customers find that the online support comes in handy as they go through Dr. Sagie’s program . They appreciate the reassurance they get especially during times that they feel they are experiencing a set back and their progress is not as they expected at that moment . The alarm is of good quality, sensitive and comes with a variety of alarms to choose from. Despite sensitivity of the alarm being optimal and even capable of detecting wetness before it gets to the mat, there have been instances of the alarm going off because of sweat or humidity. Many customers have, however ,figured how to deal with this by simply decreasing sensitivity. The mat is comfortable. It is made from high quality PVC and many customers attest to its comfort when slept on and feel that it is sizeable enough to deal with roll-off. Cleaning the mat is not that challenging. Thanks again to its high sensitivity, in many cases the alarm goes off even before the wetness has a chance of sip through to the mat. A little pricey but worth every penny. Even though the price point may be considered a bit high, it is a much better and proven alternative appointments at a hospital to combat enuresis with a slim chance of getting results especially if the reason behind the bed wetting is not a health issue or condition. It is a safe way to deal with bed wetting. Customers appreciate the safety that comes with the use of Therapee. No wires are connected to your child’s body, no medication is involved and the alarm is actually away from the body.